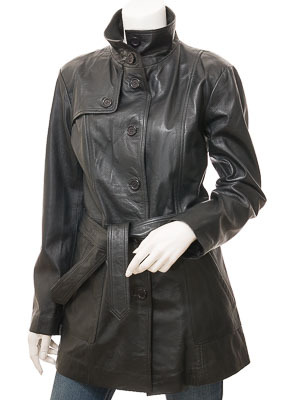 The women's black leather trench coat is a stone cold classic and deserves a place in every wardrobe. A soft and supple sheep nappa is the skin of choice to bring out the retro charm of this design. 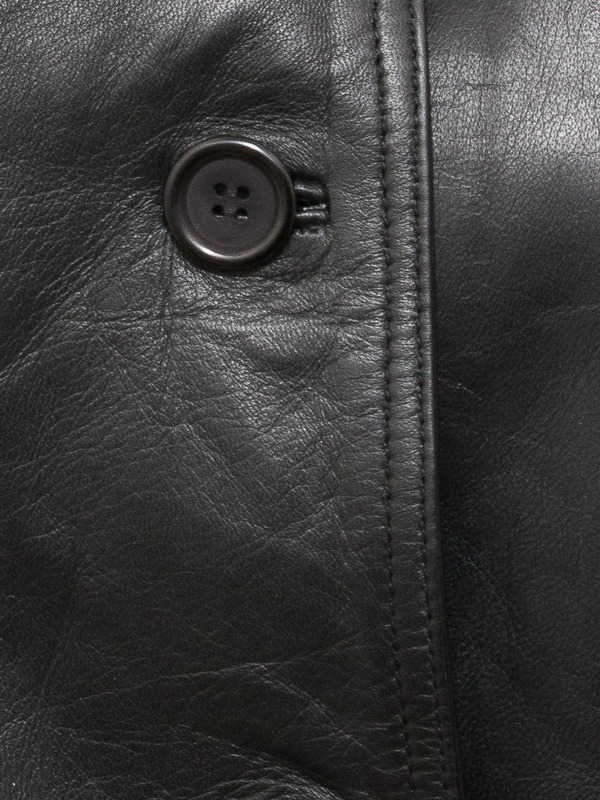 It features seven large buttons on a single breasted block which extends up to a high funnel neck. 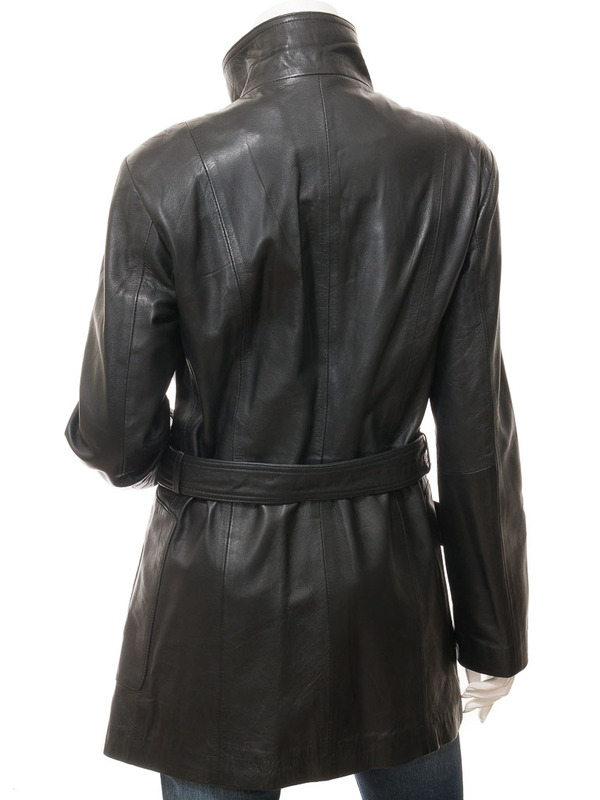 The iconic buttoned, gun panel appears at the right shoulder while the tied leather belt cinches the coat into a lovely feminine hourglass shape. 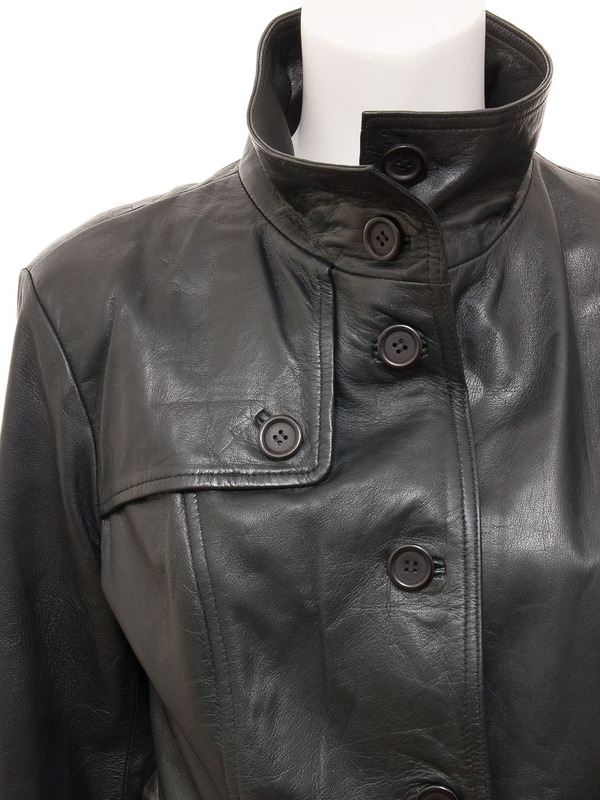 There are a couple of angled handwarmer pockets at the hip while the interior is fully lined in satin.